If you are like me, you love superhero books. If you are really like me, you like different takes on said superheroes. With Black Hammer from Jeff Lemire, we have seen a very different, very humanized look into the world of superheroes. As the title is on a break, the stories definitely are not. 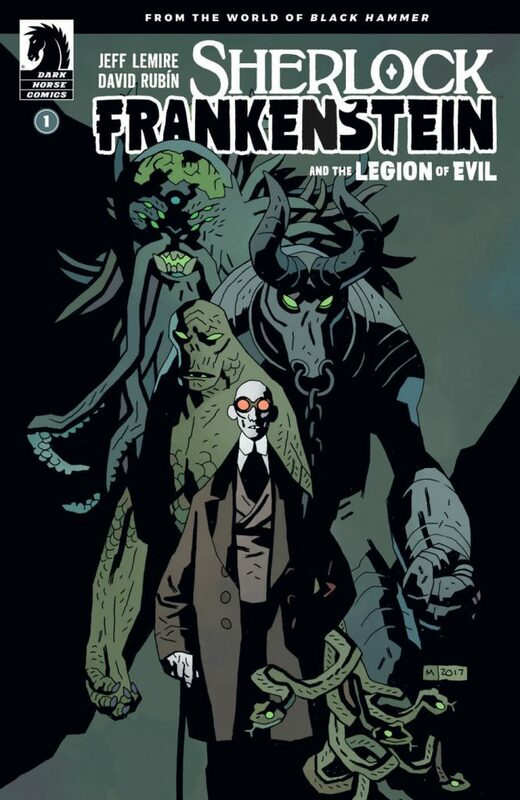 A mini-series spotlighting the daughter of Black Hammer and one of his greatest does, Sherlock Frankenstein, and so far? It’s amazing. From Jeff Lemire and David Rubin, we get to Lucy Weber, daughter to the world’s greatest hero, the Black Hammer, search for clues in her father’s disappearance. This takes place before Lucy came into contact with the lost heroes of Black Hammer, and fills the gap leading back into the main series. Two issues in and we have seen Lucy fall deeper into the mystery, which looks to include the villainous Sherlock Frankenstein. With character like Cthu-Lou, that fit the villain archtype but are surprisingly human, we get more high-quality stories that continue the Black Hammer legacy. Lemire and Rubin are hitting home runs with every issue, and I cannot wait to see what issue #3 brings.